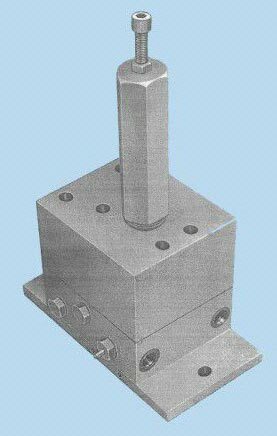 We make available Hydraulically Operated Direction Control Valve in different models with flow rate 6000 & 14000 CC/hour. Change over pressure is set at approx. 40 bars, which is higher than actual system operating pressure. It comes with adjustable change over pressure 350 bar Max and 80 bar Min. It finds extensive usage in dual line centralized lubrication system. Hydraulically Operated Direction Control Valve can be monitored by indicator pin that provides signal after each cycle to start and stop the pump.